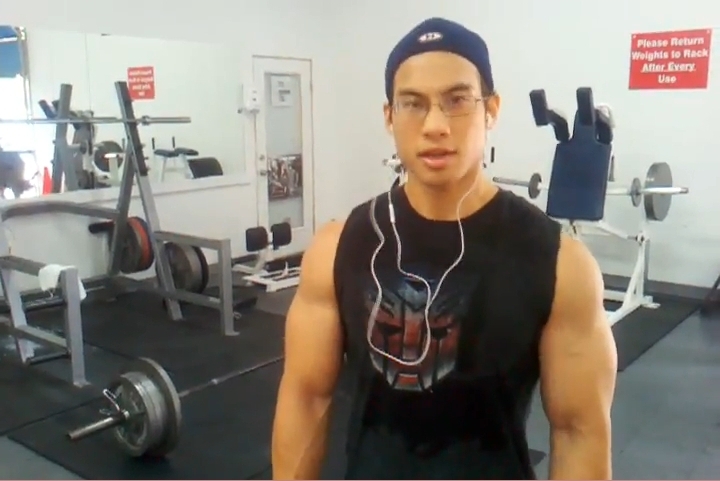 He is 19 years old and has already built an impressive physique and some sizable muscle. In the videos German bodybuilder Marcus, who models for Athletic-Stars.com, poses and tells that he is just preparing for his next competition. Ripped, wild, handsome: Filip Jurka, the 22-year-old bodybuilder and Czech adonis, is in top shape and shows the impressive result of his intense workout in new galleries on CzechYoungMuscle. You find all of his high quality photos and videos here on CYM. This training pumps blood into your upper arms. Denver Steyn, an impressive 23-year-old natural bodybuilder and personal trainer from Gold Coast, Queensland, Australia, performs Spider Curls, a special and very effective biceps exercise. The 23-year-old bodybuilder is a powerhouse. 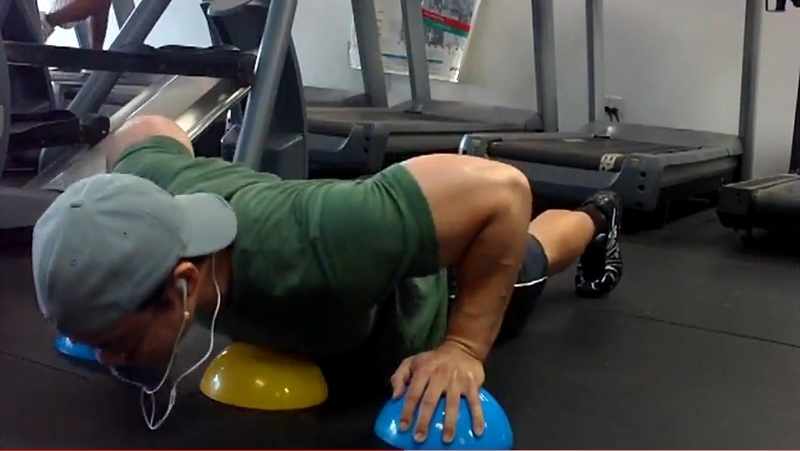 In the two videos below Denver Steyn builds a strong, muscular back with bent-over rows. A bent-over row is a weight training exercise that increases strength and size, and targets a variety of back muscles. Which ones are targeted depends on whether dumbbells or a barbell is used. Denver Steyn performs two arm barbell bent-over-rows. This version uses both arms to lift a barbell from the floor to the stomach in a bent-forward position. The hands are kept pronated and the back straight. His exercises are always extraordinary. 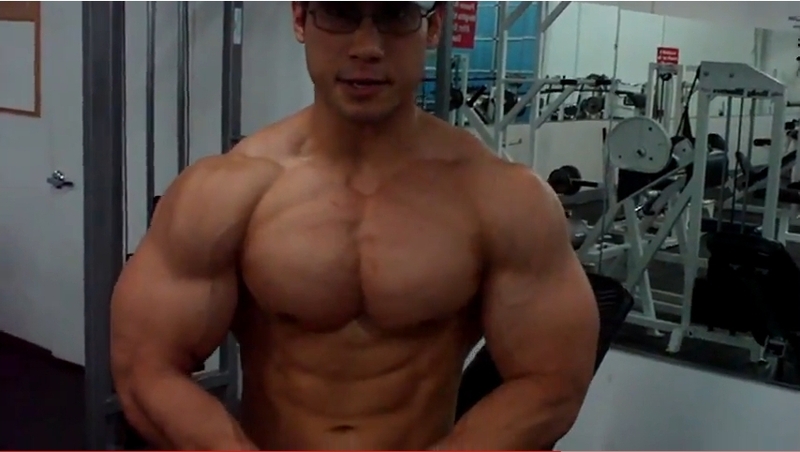 This time bodybuilder and powerlifter Tuan Tran finishes his leg workout with a "Killer Conditioning Tri Set". The three exercises are: Ice Skater Hops, Squat Jumps (with pause in the hole), and Hyper Extensions (partial range to max harmstrings and glutes, reduce tension on lower back). He looks like a blond Tarzan when coming out of the water or climbing the trees. 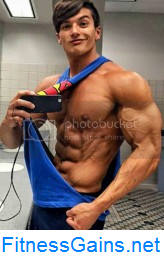 Fitness model Jeff Grant has trained hard to look amazingly buff and sculpted for his new high quality photos and videos published here on AllAmericanGuys. "That is﻿ one perfect body! He is a genetic﻿ masterpiece. No weak body parts", his many fans enthusiastically write. Roger Snipes, a rising star of the bodybuilding world, is 32 years old, comes from London, and says about himself: "I've been fitness training for a number of years which has taken alot of dedication and for me it has been an inspiration to others especially as a role model for youths. I take pride in my physical appearance and would like to use my assets as a fitness model, commercial model, editorial, or fashion to show the crafting of my physical condition to promote and brand products." In the past few months, Roger has become one of the UK's most coveted muscle models, with photographers queueing up to photograph his breathtaking physique. 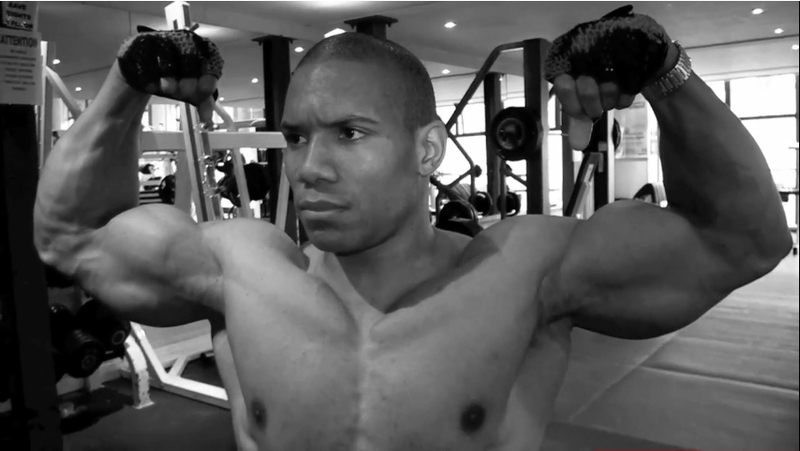 In the first video Roger Snipes works out his abs, shoulders and back in the gym. In the second video Roger trains his chest and biceps. A week after this video was shot, he took the heavyweight title at UK MuscleMania's Manchester heats, his first ever bodybuilding competition. Height: 5' 11", Weight: 199 lbs, Neck: 17", Chest: 46", Waist: 32"
With such a physique Josh Ohl could easily fight and defeat villains in a fantasy action movie. The legendary fitness model from AllAmericanGuys has trained hard, is more muscular and ripped than ever, and shows off his stunning shape for new high quality photos and videos here on AAG. Progress in all respects: obvious muscle gains, clear definition, perfect proportions. Fitness model Tyler Sarry is more ripped than ever. 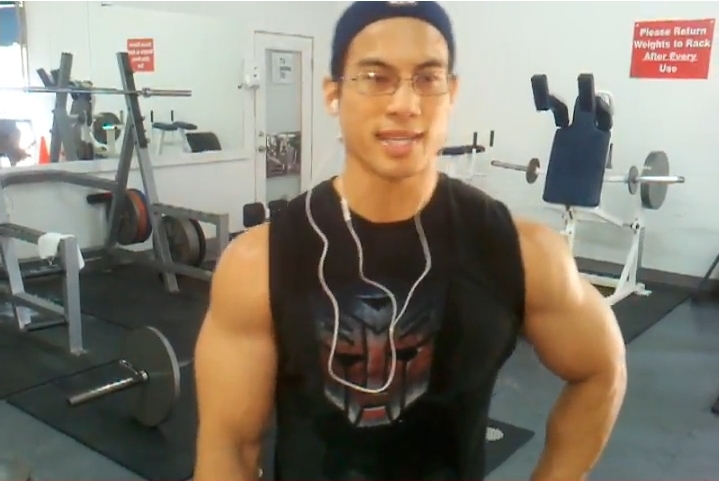 This video shows snippets from his varied full body workout and from videos on his website www.Tyler-Sarry.com. He smiles as he loves to show off his big pecs and washboard abs. Young bodybuilder Filip Jurka poses and flexes his extremely ripped body in new high quality galleries and videos published here on CzechYoungMuscle. His pumped pecs show how effective this training is. 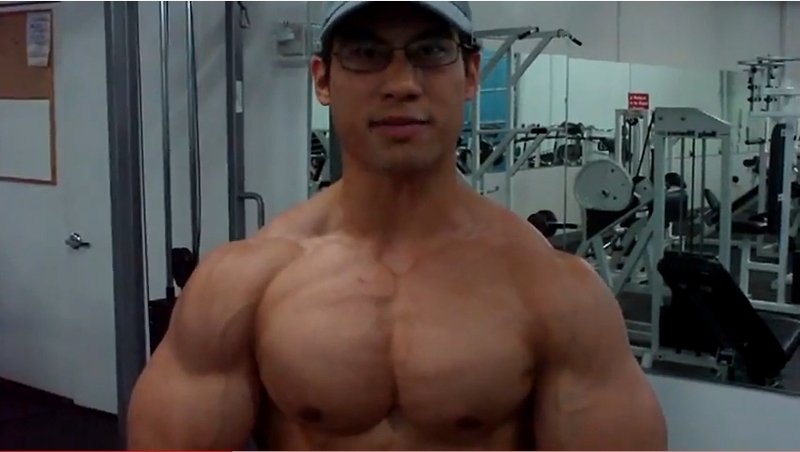 Bodybuilder and powerlifter Tuan Tran demonstrates several exercises to activate his chest muscles. Young, ripped, handsome: Zach (right) and Ben (left) are two highly impressive, aspiring fitness models, and the shooting BBPics.com did with them is a true masterpiece. In the first video Zach and Ben pump up their muscles in the gym doing bicep dumbbell curls, hammer curls, barbell curls, pull ups, and cross cables. In the second video Zach and Ben pose and flex in Lawrence, Kansas. Flexing at the beach, tree climbing, showing off in the studio: Jeff Grant is at his best for his new videos and photos on AllAmericanGuys. Preparing for these shootings the ripped fitness model did a lot of workouts, especially for his arms. 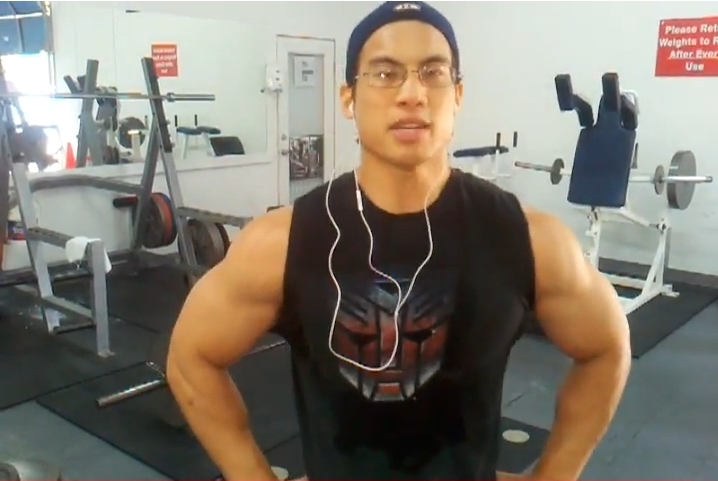 Jeff: "I tried to build some more size and thickness with higher reps and heavier weights." The very impressive result can be seen on many new high quality photos and videos here on AAG.